I feel the need to add to that post because of my personal experiences. I have a first cousin who was born diabetic. He struggled mightily as a boy because the therapies in the 1950’s were very crude. They kept him alive, but he felt alienated. My father developed insulin-dependent diabetes in old age because of medical complications with his pancreas. My late wife developed gestational diabetes when she was pregnant with our son. She was insulin dependent and had to monitor her blood sugar 8 times a day to be sure that she kept her blood sugar within very narrow limits so that we could have a reasonable chance he would be born healthy, and at time of delivery she had to go to a special unit and be hooked up to all kinds of monitors (my son too). I know diabetes from many angles. In 1889, the Polish-German physician Oscar Minkowski, in collaboration with Joseph von Mering, removed the pancreas from a healthy dog to test its assumed role in digestion. Several days after the removal of the dog’s pancreas, Minkowski’s animal-keeper noticed a swarm of flies feeding on the dog’s urine. On testing the urine, they found sugar, establishing for the first time a relationship between the pancreas and diabetes. In 1901 Eugene Lindsay Opie took another major step forward when he clearly established the link between the islets of Langerhans and diabetes: “Diabetes mellitus . . . is caused by destruction of the islets of Langerhans and occurs only when these bodies are in part or wholly destroyed”. Before Opie’s work, medical science had clearly established the link between the pancreas and diabetes, but not the specific role of the islets. Over the next two decades researchers made several attempts to isolate – as a potential treatment – whatever the islets produced. In 1906 George Ludwig Zuelzer achieved partial success in treating dogs with pancreatic extract, but he was unable to continue his work. Between 1911 and 1912, E.L. Scott at the University of Chicago used aqueous pancreatic extracts, and noted “a slight diminution of glycosuria”, but was unable to convince his director of his work’s value; it was shut down. Israel Kleiner demonstrated similar effects at Rockefeller University in 1915, but World War I interrupted his work and he did not return to it. The idea was the pancreas’ internal secretion, which, it was supposed, regulates sugar in the bloodstream, might hold the key to the treatment of diabetes. A surgeon by training, Banting knew certain arteries could be tied off that would lead to atrophy of most of the pancreas, while leaving the islets of Langerhans intact. He theorized a relatively pure extract could be made from the islets once most of the rest of the pancreas was gone. In the spring of 1921, Banting traveled to Toronto to explain his idea to J.J.R. Macleod, who was Professor of Physiology at the University of Toronto, and asked Macleod if he could use his lab space to test the idea. Macleod was initially skeptical, but eventually agreed to let Banting use his lab space while he was on holiday for the summer. He also supplied Banting with ten dogs on which to experiment, and two medical students, Charles Best and Clark Noble, to use as lab assistants, before leaving for Scotland. Since Banting required only one lab assistant, Best and Noble flipped a coin to see which would assist Banting for the first half of the summer. Best won the coin toss, and took the first shift as Banting’s assistant. Loss of the coin toss may have proved unfortunate for Noble, given that Banting decided to keep Best for the entire summer, and eventually shared half his Nobel Prize money and a large part of the credit for the discovery of insulin with the winner of the toss. Had Noble won the toss, his career might have taken a different path. Banting’s method was to tie a ligature around the pancreatic duct; when examined several weeks later, the pancreatic digestive cells had died and been absorbed by the immune system, leaving thousands of islets. They then isolated an extract from these islets, producing what they called “isletin” (what we now know as insulin), and tested this extract on the dogs starting July 27. Banting and Best were then able to keep a dog without a pancreas (and, therefore producing no insulin), alive for the rest of the summer by injecting her with the crude extract they had prepared. Removal of the pancreas in test animals in essence mimics diabetes, leading to elevated blood glucose levels. The dog was able to remain alive because the extracts, containing isletin, were able to lower her blood glucose levels. 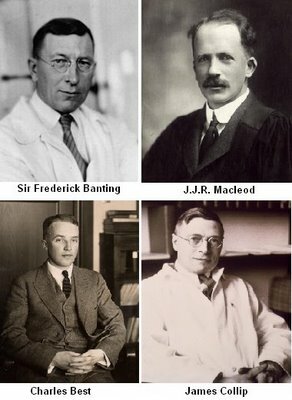 Banting and Best presented their results to Macleod on his return to Toronto in the autumn of 1921, but Macleod pointed out flaws with the experimental design, and suggested the experiments be repeated with more dogs and better equipment. He then supplied Banting and Best with a better laboratory, and began paying Banting a salary from his research grants. Several weeks later, the second round of experiments was also a success; and Macleod helped publish their results privately in Toronto that November. However, they needed six weeks to extract the isletin, which forced considerable delays. Banting suggested they try to use fetal calf pancreas, which had not yet developed digestive glands; he was relieved to find this method worked well. With the supply problem solved, the next major effort was to purify the extract. In December 1921, Macleod invited the biochemist James Collip to help with this task, and, within a month, the team felt ready for a clinical test. On January 11, 1922, Leonard Thompson, was given the world’s first injection of insulin. However, the extract was so impure, Thompson suffered a severe allergic reaction, and further injections were canceled. Over the next 12 days, Collip worked day and night to improve the ox-pancreas extract, and a second dose was injected on January 23. This was completely successful, not only in having no obvious side-effects but also in completely eliminating the glycosuria sign of diabetes. At that time children dying from diabetic ketoacidosis were kept in large wards, often with 50 or more patients in a ward, mostly comatose. Grieving family members were often in attendance, awaiting the (until then, inevitable) death. In one of medicine’s more dramatic moments, Banting, Best, and Collip went from bed to bed, injecting an entire ward with the new purified extract. Before they had reached the last dying child, the first few were awakening from their coma, to the joyous exclamations of their families. 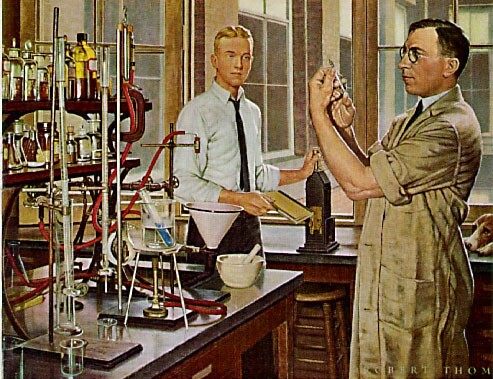 Over the spring of 1922, Best managed to improve his techniques to the point where large quantities of insulin could be extracted on demand, but the preparation remained impure. The drug firm Eli Lilly and Company had offered assistance not long after the first publications in 1921, and they took Lilly up on the offer in April. In November, Lilly made a major breakthrough and was able to produce large quantities of highly refined insulin. Insulin was offered for sale shortly thereafter. In my previous post I pointed out that there is no such thing as a diabetic diet. Diabetics can eat anything as long as they follow certain guidelines. There is no one perfect food so including a variety of different foods and watching portion sizes is key to a healthy diet. Also, make sure your choices from each food group provide the highest quality nutrients you can find. In other words, pick foods rich in vitamins, minerals and fiber over those that are processed. So, I can’t give you a “diabetic recipe.” What I can do is give you a healthy recipe idea. Salads are great, although not a huge option in China. In Argentina the standard salad is ensalada mexcla, which translates as “mixed salad” but is typically lettuce, onion and tomato chopped coarsely and dressed with salt and olive oil — a typical accompaniment for steak on the grill. 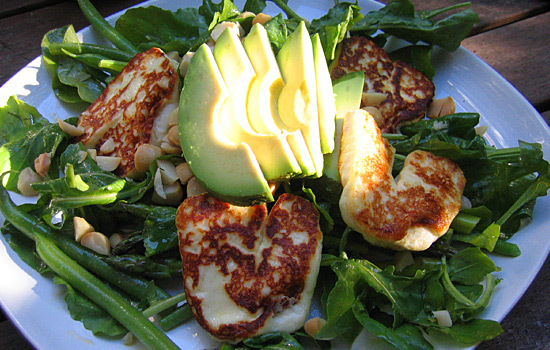 Salad, however, has no limits. 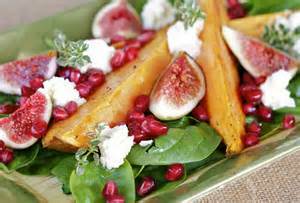 My basic belief is that a salad should tell its own story, that is, it should not need a “dressing,” as is common in many parts of the world. Extra virgin olive oil is all I want (I don’t ever use salt). There are no limits to ingredients. I don’t like to use protein in a salad because I use salad to accompany protein. I guess I am Argentino !! My salads focus on vegetables. 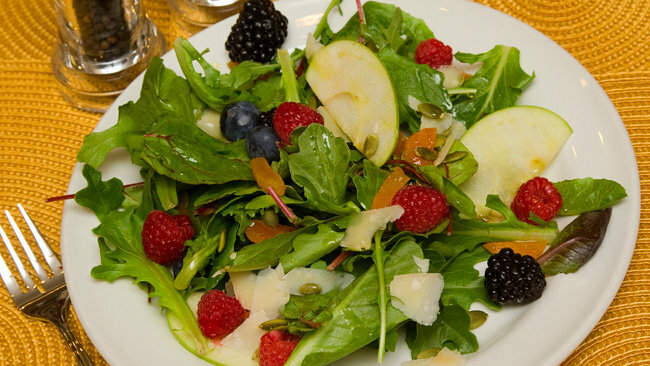 I start with some greens — does not matter what — lettuce, spinach, cabbage, whatever. If I use cabbage I shred it fine and marinate it in vinegar for an hour or so. 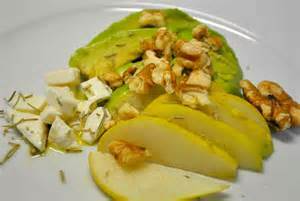 I also love to use avocado and artichoke hearts. If you use avocado you need to add a little lemon or lime juice to stop them from browning. No reason not to add fruit — apples, nectarines, peaches. Nuts also work well, especially walnuts, to give a little crunch. I love to add sliced mushrooms, but am not crazy about carrots. But it is really your choice. Be bold. Truly fascinating! I had no idea that the knowledge if insulin you describe is of such recent vintage.